A denim jacket has been an essential part of my wardrobe for as long as I can remember. I can’t imagine trying to dress for spring and fall without it. A denim jacket is a basic wardrobe staple which makes every outfit look totally differently. 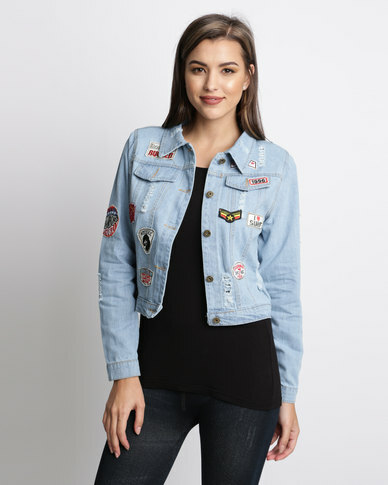 That's a very versatile piece, as you can wear it over a laid-back sweatshirt, plain white cotton tee, denim pants, wear with simple long necklace, or you can go for a girlish and chic look, wearing cocktail dress and sparkling, trendy accessories. 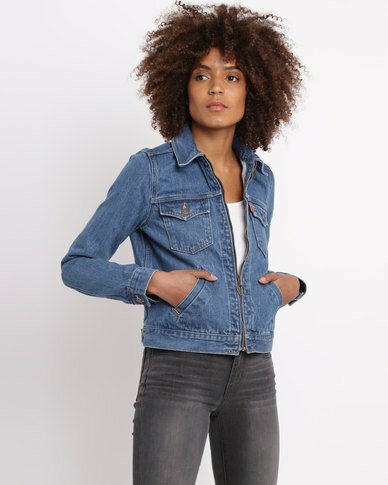 Personally, I like a denim jacket that is slightly cropped and has some shaping through the waist area. 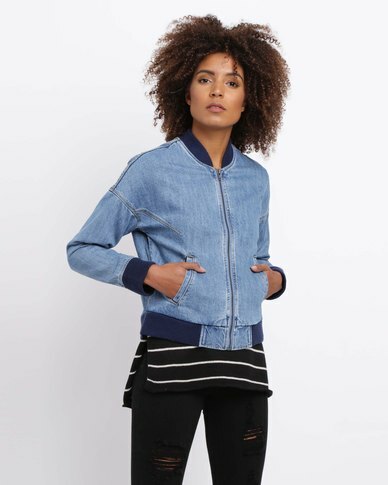 The piece can easily be layered up to combat the cold or left open and loose to sit as a comfortable top layer in a spring ensemble. 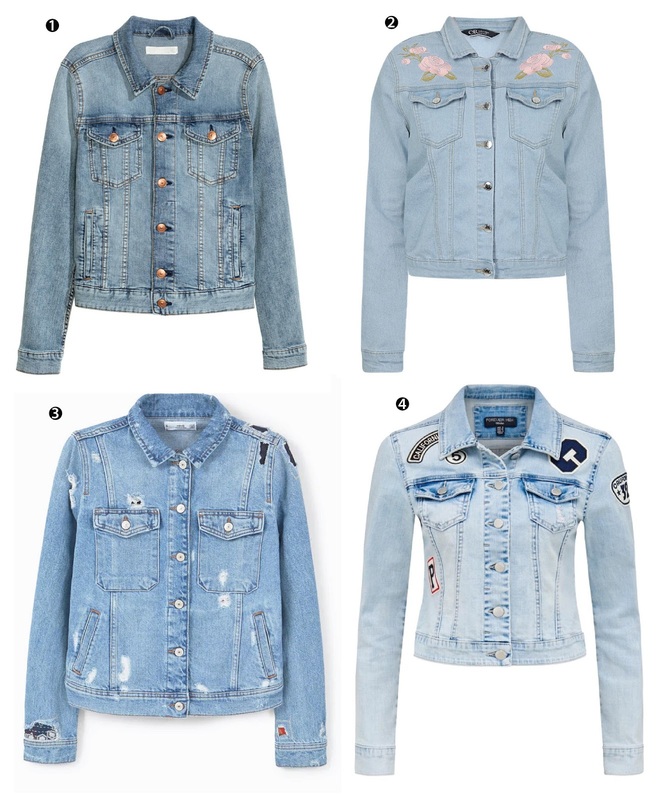 Just like jeans, denim jackets come in all shades of blue. (And other colours, although blue is definitely the most common.) A jacket in a medium wash denim is the most versatile and can be dressed up or down. If you're looking for "smarter" autumn and winter jacket, try a dark wash. Due to the darker colour, they usually look more polished. You can wear double denim, but it definitely comes with a warning note. Make sure the tones of blue are different, so you are not matchy-matchy. It also helps if your top is longer in-between so it breaks up the denim. 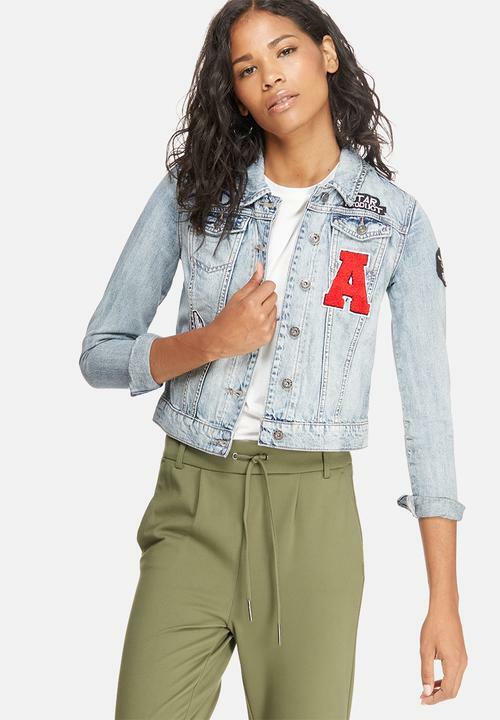 Pair it with a white lace dress and boots to put a classic boho touch on a feminine look or To make your denim jacket more fancy, you can wear it with sequins and heels. It’s a fun mix for going out. 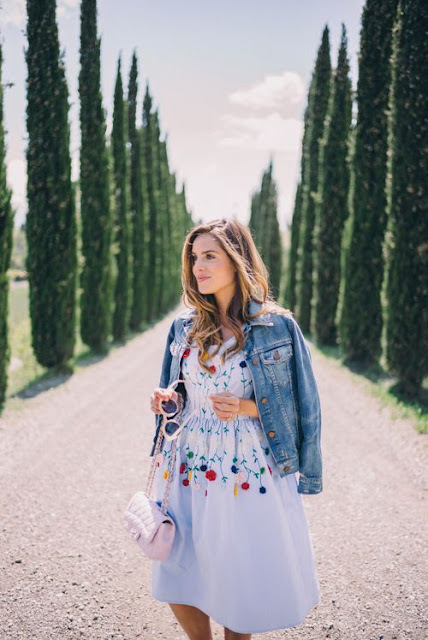 Make a maxi dress work for spring or fall by wearing it with a cropped denim jacket or Paired with a turtleneck and a maxi skirt, your jean jacket can easily give your outfit a ’70s vibe. 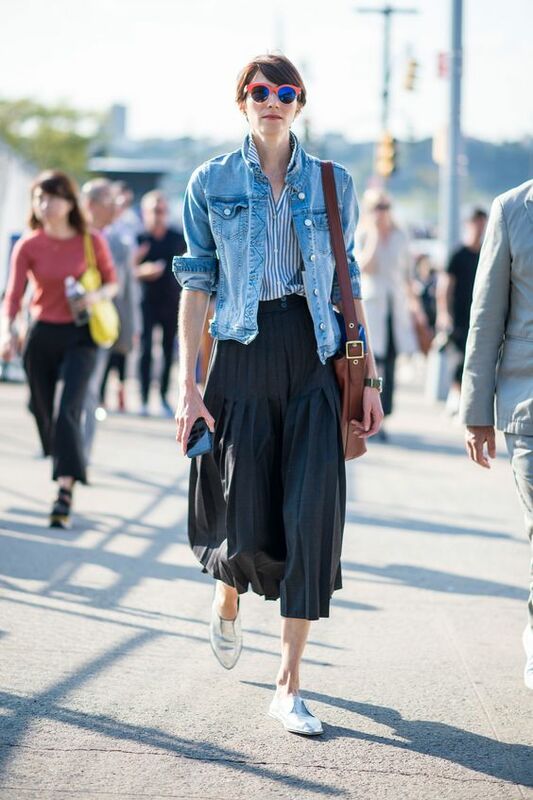 Pair your denim jacket with stripes, plaid shirts, and colourful pants – any of them is a classic spring look. 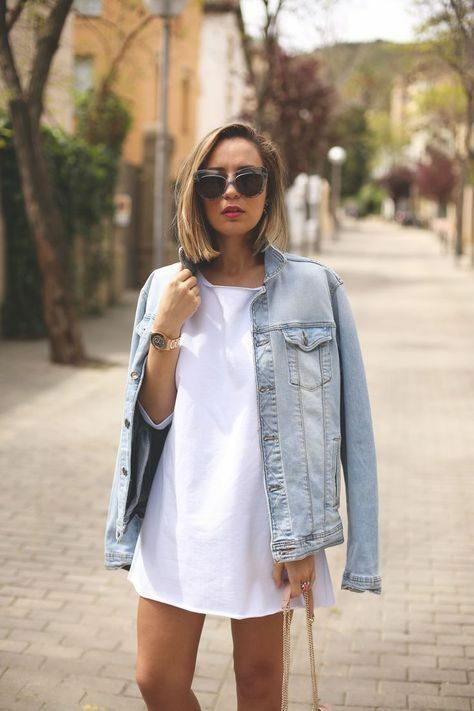 A classic denim jacket hits at hip length, which is ideal for pairing with jeans or pants, since it won't cut you off at the waist. A cropped denim jacket is a good choice if you want to wear it with skirts and dresses, as the shorter length visually raises your waist and elongates your legs. Just don't go too short, as it can look a little dated! Ideally, the hem will hit right around your belly button. Comfort is key. 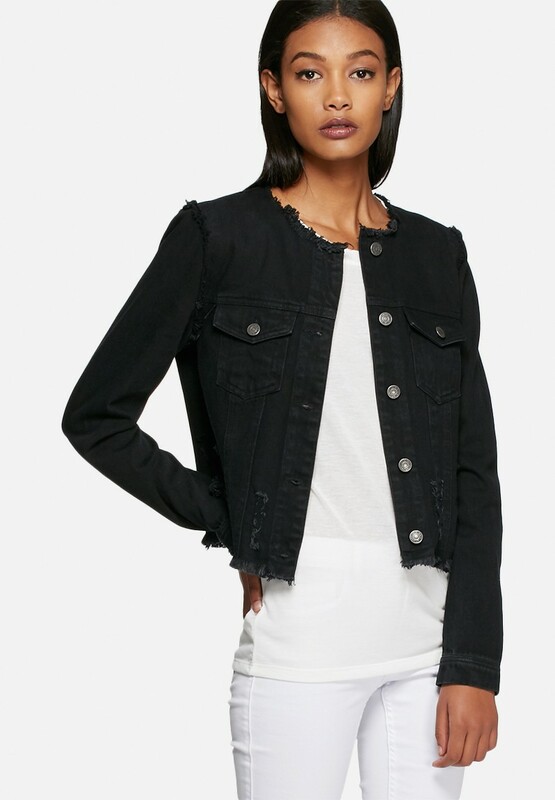 You want your jacket to be tran-seasonal and have enough room to layer underneath. If you are always on the run, picking up kids or chasing the dog, ideally choose a jacket that has a touch of stretch (elastane) in the fabric. 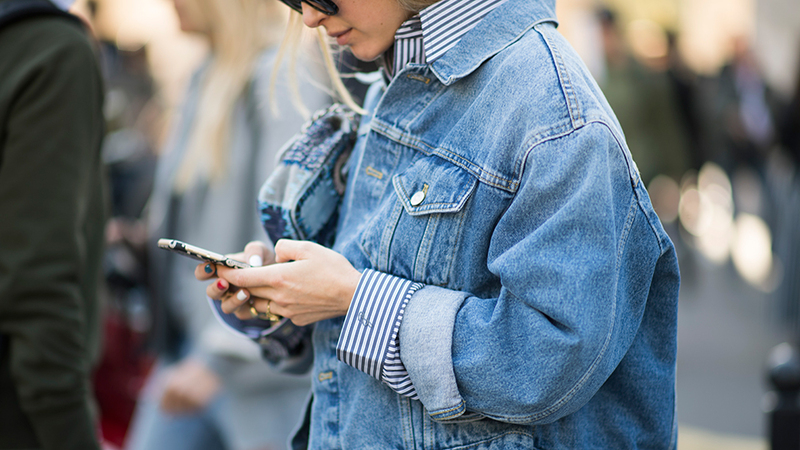 As you can see, the possibilities for styling a denim jacket are virtually endless. 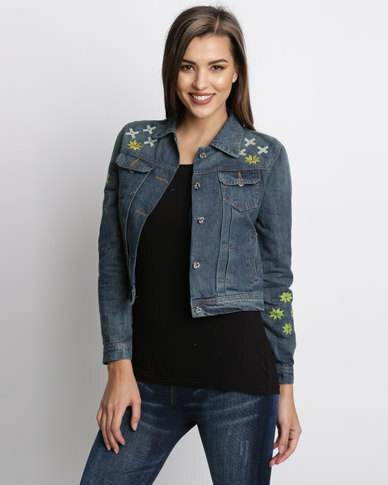 I love denim – it’s so easy just to throw over pretty much any weekend casual outfit.